A registered Dental Assistant prepares material and equipment, takes x-rays, assists the dentist during the treatment of patients and may be required to do some laboratory work. They also ensure infection control and perform office duties including making appointments and ordering supplies. 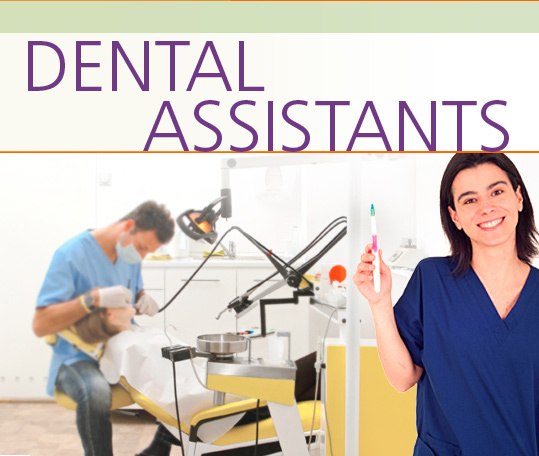 In the Dental Assistants Career Extension, students learn how to interview for a job and discuss their education, training and work experience. They talk about job responsibilities and work conditions. They become familiar with equipment and explain dental procedures to patients. They learn how to handle complaints and talk about their strengths, weaknesses and goals for the future.